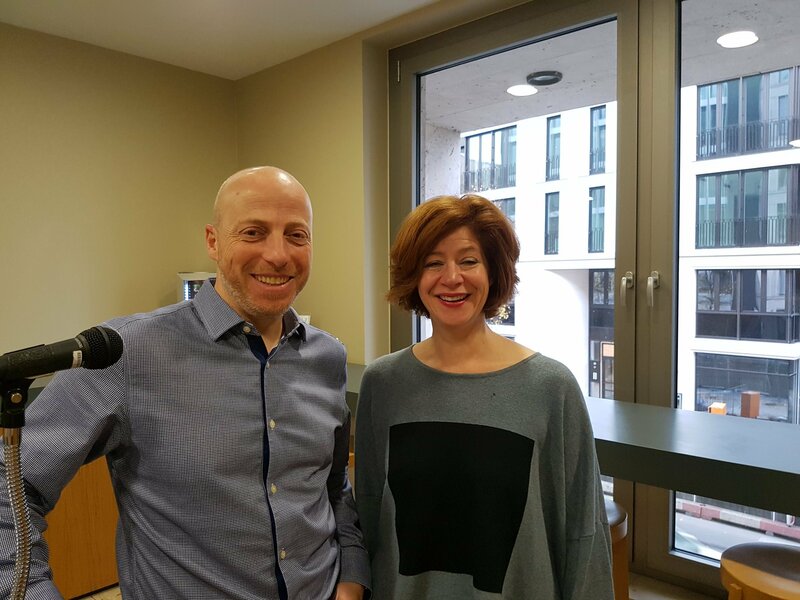 CIPR Members receive 5 CPD points for listening to this Internal Comms podcast if they log it at their My CPD. 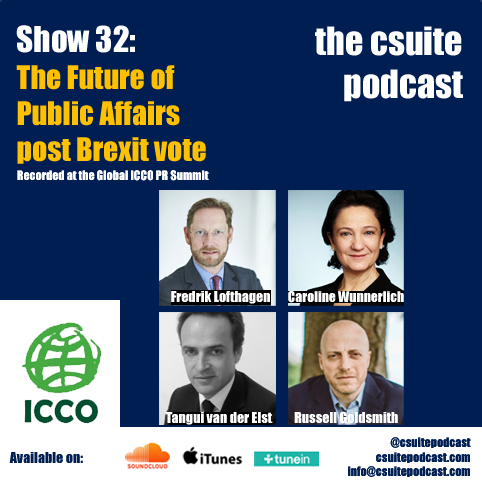 Show 33 was recorded at Quadriga’s Internal Communications conference, Berlin. Russell Goldsmith, was first joined by Tomáš Novotný, Head of Internal Comms at ŠKODA Auto. Tomas presented on how the company has had to overcome challenges in talking to employees who, given they work mainly in factories, predominantly aren’t desk based and so are not easy to reach through intranets and online channels. Therefore traditional print media is still important for Škoda, and they continue to produce a weekly magazine, Skoda Mobil, and monthly newspaper, as well as still using pin-boards around the manufacturing plants. Tomas explained that his team carefully analyses all activity to help continually improve what they do and one a further challenge, given how strong their trade union is, was to gain the respect and trust from employees. They therefore simplified the language used in the magazine and newspaper, which has resulted in people reading more articles, plus the team added more graphics and pictures, and now share more stories about the employees themselves, reducing the amount of articles about senior and top management. It’s not just about print though, as Tomas said they started working with video about two years ago to show employees how the company is using innovation. They produce videos, on average three minutes in length, to tell stories about how the company is working with interesting and sophisticated machines or instruments, but crucially, involve the employees who are actually using them. Tomas shared an internal comms campaign that he was particularly proud of. He made the point that Škoda always plan to reach a broader audience if possible, beyond just internal, so long as there is nothing confidential being shared, as they want to promote their employees as Brand Ambassadors and present them in a way that they are proud of the brand. The internal comms case study was from a couple of years ago when, for the first time, Skoda produced and sold one million cars in a year. Firstly, the company took photos of employees from all over the world, and delivered a message with an image made up of over 1350 faces, that said that only through their contribution could they have delivered such results. They then created a microsite where colleagues could send messages to each other on how they’d helped them through the year. Each day, unbeknown to their employees, Škoda chose two of what they considered the best of those internal thank you messages, and delivered a cake to the person who was being thanked, with the printed message from the colleague doing the thanking! With regards to the actual millionth car, they decided to use it for a CSR activity and so asked employees to vote for which NGO they would give it to, the winner being a children’s charity. 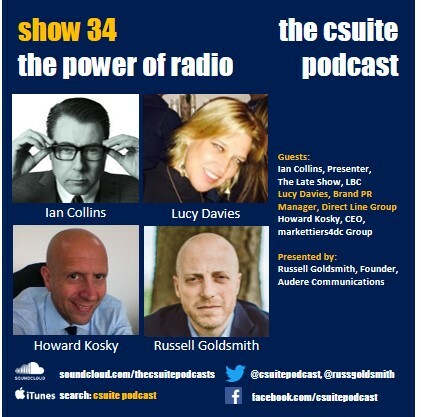 For Part 2 [starting at 12:43] Russell was joined by Louise Wadman, Head of Internal Comms at Lloyds Banking Group. A key part of all of this though, according to Louise, is the absolute need to get line managers on board and the need to encourage leaders to take ownership for the various internal comms activities and deliver very clear messages, something she has achieved through role modelling. Louise explained that at Lloyds Banking Group, their cascades, particularly within the branch networks work very well. However, as they go through each layer in a traditional cascade, the context can get lost, which is why it’s so important for that context to stay there so that colleagues know not just what they have to do but why they have to do it. She also talked about the need for advocates in the company and shared a case study in her talk about how Lloyds Bank used ‘Brand Builders’, people in the business, not necessarily with a communications role, but who Louise’s team could go to as change was coming, and ask how processes, systems and customer services could be improved. These were volunteers within the business who were passionate about serving their customers, who were frustrated at all the things that got in the way of doing so, and wanted to help change to make it better for them and their customers. The result was that any change to the business had to go through the Brand Builders in some way, which could have been as simple as asking them to participate in a survey or in a focus group to examine a process with subject matter experts from elsewhere in the bank and look at how to improve it. The other point Louise focussed on was ‘cut through’ of messages, something she said was a tremendous issues across the industry, particularly in the context of social media. Finally, Louise shared some information about a case study campaign of her own – ‘The Great Debate’. This was launched at a conference with line managers within the group, with the aim of giving all colleagues the opportunity to share their ideas over a two week period, in response to a single question about the business. Ideas were posted online, where other colleagues could like it and share comments. After the two weeks were up, the ideas were assessed, based on how cost effective they would be and what customer benefit they would have. Out of the 1,230 ideas that were submitted, 27 were taken forward, some of which could be implemented immediately, which meant colleagues were seeing immediate change. However, some ideas on that shortlist needed to be worked through in more detail to see if they could be viable or not. The colleagues who had submitted those ideas were therefore invited to participate in sessions with others who had commented on the ideas, Lloyds Bank Brand Builders and importantly, business subject matter experts, to explore if it was possible to implement the change. 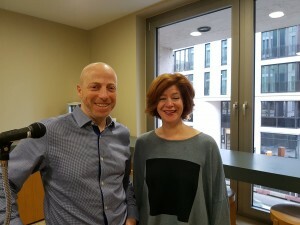 In the final section of the show [starting at 29:48] Russell spoke with Sandra Grieden, Brand and IBMer engagement atIBM Europe. Sandra had been speaking at the conference about how IBM is now emerging as a cognitive solutions and cloud platform company and how her team has to manage the internal communications of those changes to their 370,000+ colleagues, which she achieved by creating an engagement platform, built around IBM’s Watsontechnology. For those unaware, Sandra briefly summed up Watson as being the core of IBM’s cognitive business strategy. It’s a technology platform that understands human and natural language and uses machine learning to reveal insights from data and unstructured data (which could be visual content like videos, social media insights, books etc.). Watson then analyses all this data, understands it and adds a layer of intelligence to it, as well as understanding complex questions or situations. It evaluates all the possible meanings of the data and determines what is being asked, presents the users with answers and solutions, who can then make decisions based on the solutions they are being presented with. 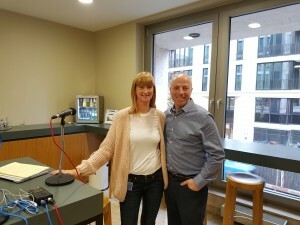 Sandra then talked through how Watson was used in IBMs own internal platform, Think Academy, which is a learning tool that has new content uploaded to it on a monthly basis, to help with the strategic priorities for the company, and how it relates to all IBMers (the company employees). IBMers were first invited to go to Think Academy and firstly get to understand what the company means by cognitive, and what can it do for them as an employee, for their clients and for the world at large. They then had three months where they asked colleagues to submit ideas into the platform, ideas that could be about anything, and then team up to find the solutions through cognitive build. Sandra explained that the teams, which could be virtual as they were in different locations, then had to, in effect, become a mini corporation/enterprise, i.e. have a CEO, head of development and someone in charge of promotion. IBM provided the teams with collaboration tools based on design thinking, to help them, and then asked them to conduct agile sprints to think about their business model, create an initial feasibility study and perhaps even an initial prototype of their solution. After the ideation phase, the programme went into an investment phase, which is where the entire company got involved, as every IBMer was given $2000 (virtual) to invest in one or more of the 8,500+ ideas that were submitted to the programme, all judged by cognitive coaches, which meant the teams had to promote their ideas across the business.